Are you tool agnostic? Can you actually control time? 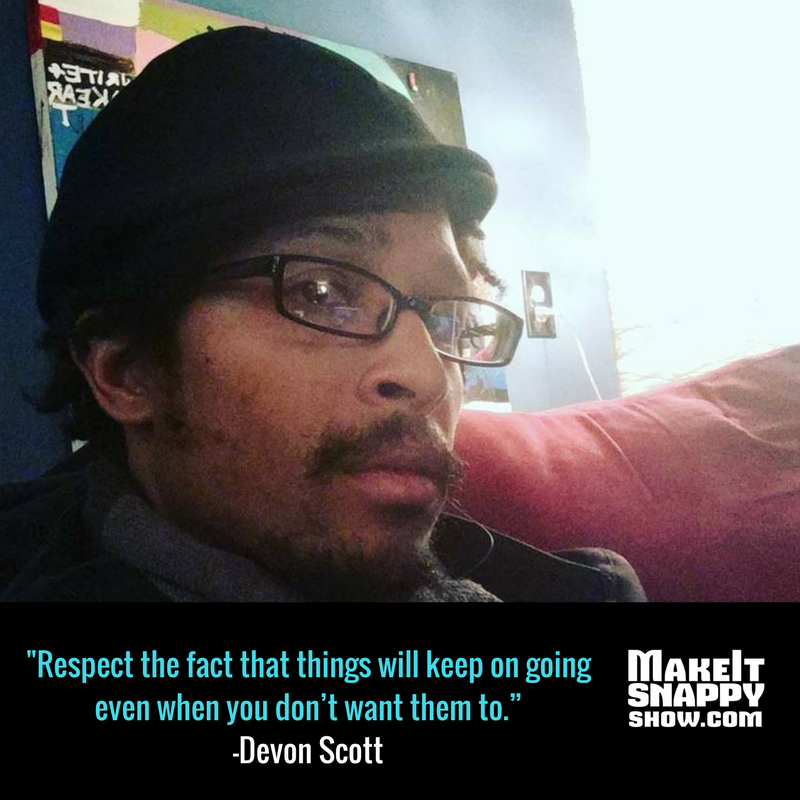 Such words of wisdom come out of this conversation with Devon Scott, founder of Blue Fission Technology (@AnUnboundSpirit), where he consults with tech companies to help them with strategy and efficiency. Brittany and Nick talk to Devon about his childhood challenges with learning and getting things done and how what he’s learned is something that he applies even still in life. We also discuss agile and how it can help companies of all kinds, from tech startups to marketing agencies, to move faster and create better products. Devon shares his experience working with agile and this misconceptions that people have about it. We also talk about how it’s less important to have the right tool and is more important to have the right process (being tool agnostic). Devon ends with a special challenge that we’ll bet you’ve never tried before! Do not use any pause or rewind features on any media for one week. BlueFisson.com/SNAPPY - To get a 34% discount on developing, launching and marketing your tech product. Any startups wanting to make an impact would be foolish not to take advantage of this offer to work with Devon Scott.